An ankle fracture is a common injury among athletes who play contact and collision sports. There are multiple types of ankle fractures including fractures of the lateral malleolus (the bone on the outside of the leg and ankle) and the medial malleolus (the bony prominence on the inside of the ankle). An ankle fracture typically results from a traumatic event. Often this injury can seem like an ankle sprain, as it often occurs with the same mechanism of injury as a lateral ankle sprain. Often the initial pain, swelling, bruising, and difficulty bearing weight are worse, signifying a worse injury and possible fracture. X-rays are needed to rule out a fracture in all of these injuries. 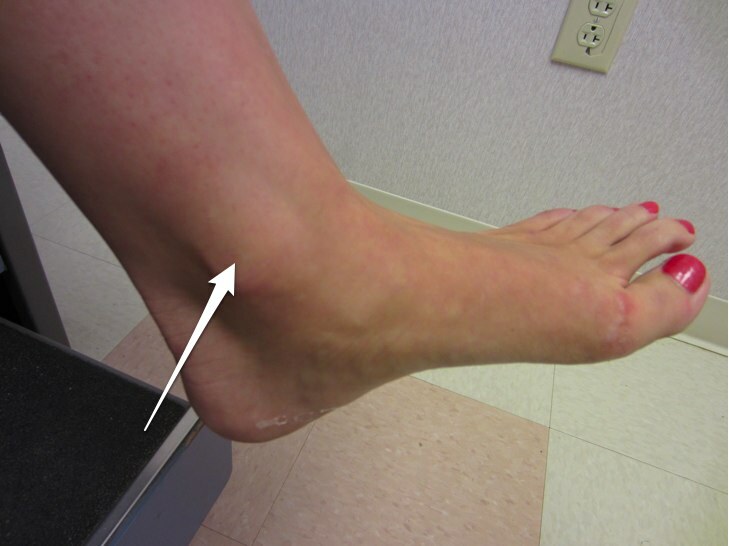 The fracture can involve the lateral malleolus (arrows) on the outside of the ankle. Treatment really depends on the bone broken and the amount of displacement. Truly nondisplaced fractures can be treated without surgery in a cast or walking boot. If there is any degree of displacement, especially if it requires a reduction to line the bones up better, surgery in athletic individuals is necessary. Lateral malleolus fractures usually require a plate and screws, while medial malleolus fractures usually can be fixed with two screws. A surgeon upon review of the x-rays can decide the exact surgical treatment. Return to sports is dependent on the fracture healing, whether or not surgery is needed. Usually it takes at least 8-12 weeks for the fracture to heal, but occasionally healing can occur in 6-8 weeks. Once the fracture has healed, the surgeon will allow the athlete to progress through walking to a running program. At that point a return to sports protocol can be started to progress the athlete back to his or her sport. Return to sports is likely if the fracture heals, but obviously the process can be lengthy and end the athlete’s season. If the fracture heals in good position, no lingering long-term side effects are expected, although problems with ankle impingement or arthritis have been described. Return to sports at the same or higher level is likely. 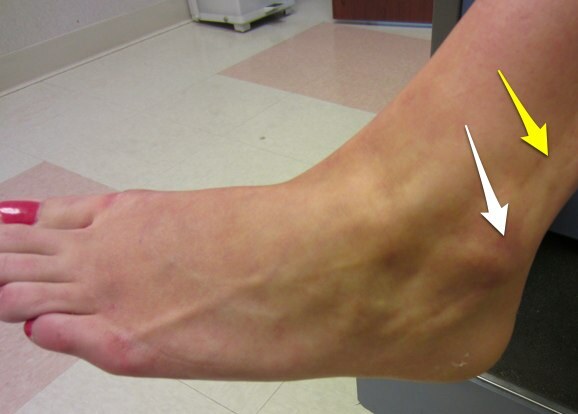 The ankle fracture can involve the medial malleolus (white arrow) on the inside of the ankle.